Who should join? 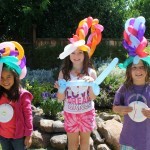 Campers are girls age 5 -11 who enjoy Creative Problem-Solving, Crafts, & Clowning Around. This is a program that promotes “Girl power.” What’s “girl Power?” It’s all about encouraging, role-modeling & motivating girls to make the most of their lives.It’s seeing & being our very best & doing the same for our girl friends! At girl’s club, we work on developing our positive communication & friendship skills, in the supportive environment of an all-girls Creativity Club. We try new things; build one another up in a world that tests our resolve. We grow creatively and it’s fun! Camper activities: Girls will be encouraged to work with their minds, hands, & hearts as they explore performing & visual arts. Sessions on clowning may include simple juggling, theater games, clown make-up, mime, & more. Crafts may include: beaded jewelry, rubber stamp art, communal sculpture creation, card assemblage, mask making, etc. Projects change thanks to the girls’ input! Adolescent’s Leadership: Girls age 12 & 13 may serve as Counselors in Training (C.I.Ts.). This leadership component is as central to the Girl’s Club process as the camper experience. Counselors in Training serve as helpers & role models. They have direct & indirect instruction & grow. First year C.I.Ts. pay full price to attend. Second year C.I.Ts pay half price. 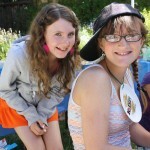 Creativity Club girls age 14 & older are invited to apply to be counselors to earn a stipend that increases every year. Most of the staff gear their summer plans around this experience & return year after year. May 16- June 30, the fee is $215. After July 1, the fee is $235. $35 is nonrefundable should your plans change. There is a $25 sibling discount and a $25 referral discount. Please promote this special program to girls in your world as we have a growing number of counselors & need more campers to make the program strong! There is a $25 referral discount for each new camper you guide our way. Important reminders: Everyday, please wear old clothes & bring a sack lunch & drink. Theme days: We have several Theme days during camp. On Monday, day #1, please bring 20 photos of yourself, family, & friends to use in arts & craft. Bring them in a zip lock bag with your name on it. Also on Monday, please bring 1 “show and tell” item that illustrates your existing creativity (a poem you wrote, a scarf that you made, a dance your like to do, etc.) We practice giving meaningful compliments and supportive friendship skills daily. Wednesday is “Beach day” where we bring bathing suits and towels and play in the sprinklers. Thursday is “It’s Cool to be Kind” day and we do some form of social action to make the world a better place. Friday is Circus Day where we dress up and perform skits for fellow campers. (more on all of this later). Register today! Please Download the form, print and fill it out and send to Linda Levine. Thanks!